3 Tips for Successful Goal Setting | How to make them stick. Does the New Year represent an opportunity to set new goals for the year? Do you find yourself reflecting on the previous year and unable to remember the commitments you made to yourself at the start of last year? Are you setting goals each year that are similar with little or no progress? 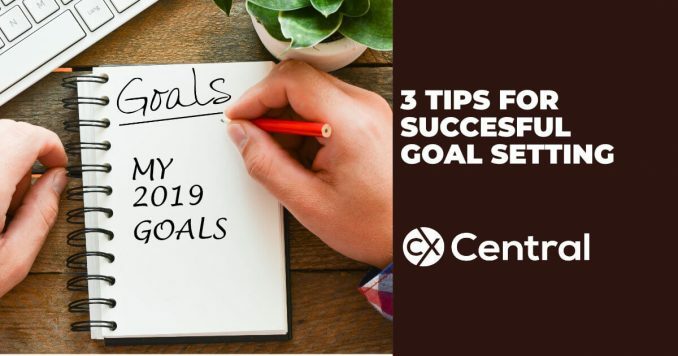 If you’ve answered yes to one or all of these questions, then you need to know the three critical steps to successful goal setting that makes the difference between success and failure. Did you know that many of us make new year resolutions and set goals based on how we feel at a particular moment in time? Why on earth would anyone want to make a decision based solely on how they feel? It astounds me when I hear people say they made an important business or life decision because “it felt right”. How we feel changes rapidly from moment to moment, which means our focus and commitment becomes just as fleetingly as our feelings do. Making decisions and setting goals on anything important simply must include a more logic thought process that links to your reason why you are setting the goal in the first place. If your ‘why’ is big enough, it will always take care of any ‘how’. I know plenty of business owners and managers that are interested in improving their life or business yet they lack the commitment to taking action to achieve the desired outcomes. The road to success is littered with people that are interested in achieving something but it takes commitment to achieve success. So make a choice – choose to be committed and take the necessary action or choose to remain a spectator in your life and remain only interested – the choice is up to you and remember that it is a choice. Most people will set their goals in their head, fail to plan how to execute them and rarely write them down. For every hour of planning, will save you up to 8 hours of time! To get a return on investment for your energy, you need a strategy that will move you towards your goal. Effective steps in your strategy include writing your goals down and visualising them on a daily basis – this is essential because it engages your conscious and unconscious mind. Establishing a timeline for achieving your goal and reverse engineer your goal from an annual goal, to quarterly, monthly, weekly and daily goals so action is taken with little steps consistently. And lastly, remember to take the time to review, adjust, prioritise and reward your progress along the way. Poor planning leads to poor results so if your goals are worth doing, they’re worth planning for! Setting goals at any time of the year provides you with long term vision and short term motivation. You can only manage what you do in your time, and understanding these goal setting steps will certainly increase your levels of success. For those high achievers reading this article, your challenge is to set yourself goals in one, five, ten and twenty year periods, if you haven’t already, and these long term goals are reviewed on an annual basis and adjusted accordingly. So here’s to successful goal setting and making them happen this year. I’ve never seen the difference between ‘interest’ and ‘commitment’ distinguished this way – I love it!